– Some claimed he was humble. Humble? A thief humble ? Presidents’ impunity and the shielding of corrupt officials should not persist, says Transparency International. “Those appointed to key positions in government should be of impeccable character; willing and committed to serve in the best interest of the people rather than to acquire illicit wealth,” says Transparency International. This is the challenge we are today facing in Zambia. We put into government people with backgrounds of corruption, theft. Those within the Patriotic Front who supported Edgar to become their leader and the president of the Republic knew or ought to have known his corruption background. They all knew that Edgar had long fingers. It’s not a secret that Edgar had stolen money belonging to a client of his law firm. They knew they were choosing a thief, a corrupt and morally rotten, bankrupt person to lead their party and the country. Chishimba Kambwili knew this very well but he ignored it! Harry Kalaba knew this but he ignored it. Inonge Wina knew this but chose to ignore it and to this day, she doesn’t want to see Edgar’s corruption. It’s stinking but she is ready to live with the stench of Edgar’s sewer of corruption as long as she is rewarded with being Vice-President. 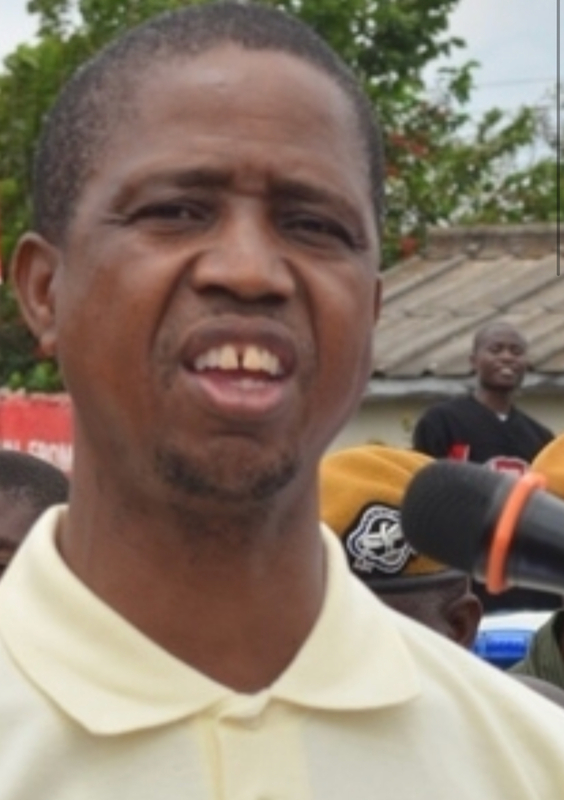 All Zambians knew about Edgar’s background of corruption but chose to ignore it! Some claimed he was humble! Humble? A thief being humble? Someone who steals money entrusted to him by client being humble! It is not surprising that Edgar is today presiding over the most corrupt regime in the history of our country. It’s not surprising that Edgar is today protecting corruption and the corrupt. Edgar shields corrupt elements like judge Sunday Nkonde from prosecution and being made to account for their corrupt decisions and actions. Edgar’s Attorney General entered into a clearly corrupt consent judgment to shield Sunday from appearing before the Judicial Complaints Commission to account for his collusion with Lewis Mosho to illegally liquidate The Post. Edgar is also protecting Sunday from being arrested and prosecuted by the Anti Corruption Commission over his theft of public funds in the bank accounts of Tedworth. It’s a very big mistake to think that a thief can stop stealing when he is made president of a country. How? In Bemba they say uwakalema taleka! Forgiving a thief doesn’t mean making him president. You forgive a thief by making sure he is not put in a position where he can steal again and risk being jailed. How reckless can a people be by entrusting a koswe with a bag of groundnuts? Those entrusted with the key political leadership of a country should be persons of impeccable character. It should be people who are able to walk away from money, wealth – from chalice of evil, corruption, bribes and from acquiring illicit wealth. Edgar has demonstrated serious inability to stay away from corruption. In a very short period of being in power, Edgar more than doubled his wealth, net worth far beyond his earned income. This, in itself, is prima facie evidence of corruption unless it is explained away. But, despite many challenges, Edgar has failed to explain the source of his sudden wealth. Election or appointment to the higher national political office must be of people of impeccable integrity and high competence. Edgar has none of these. The nation urgently needs a devoted, decent leader of impeccable integrity who is able to put service to his country before his own self-interest. We need a leader who can help heal our nation and provide steady leadership and restore our people’s faith in the presidency and in government. We need noble and ethical leaders – men and women of impeccable honesty.